In the followings we’ve got collected the top 5 places where to worth it to spend your honeymoon. 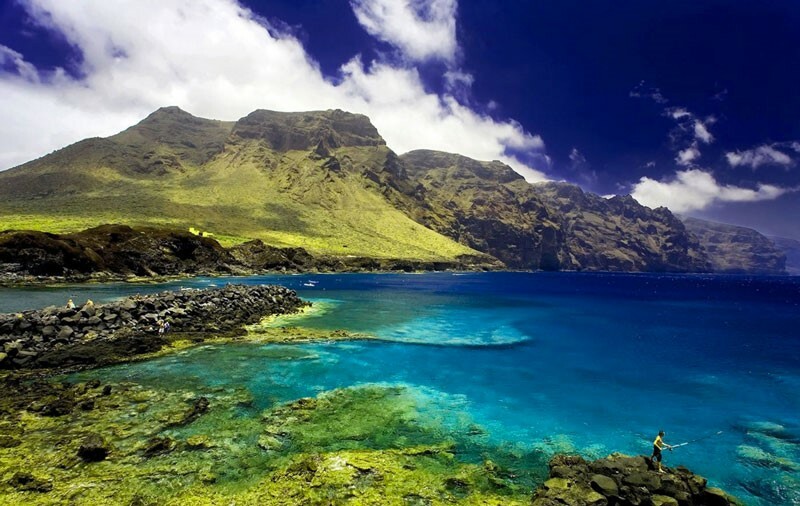 The Canary Islands are the place which are the honeymoon fantasies are made of: crystal –clear turquoise blue water, tropical forests and volcanic landscapes, stunning white sanded beaches and many different activities to do. Depending on the island, visitors can enjoy trekking to volcanos or tropical forests, discover the sea bottom in a scuba diving session or just enjoy the long beachside walks in the sunset. Each of the islands has their own personality and offer something different. If you are looking for a relaxing and also adventurous experience than the best choice is an admirable hotel in one the most famous islands of the Canary Islands like Gran Canaria or Tenerife. 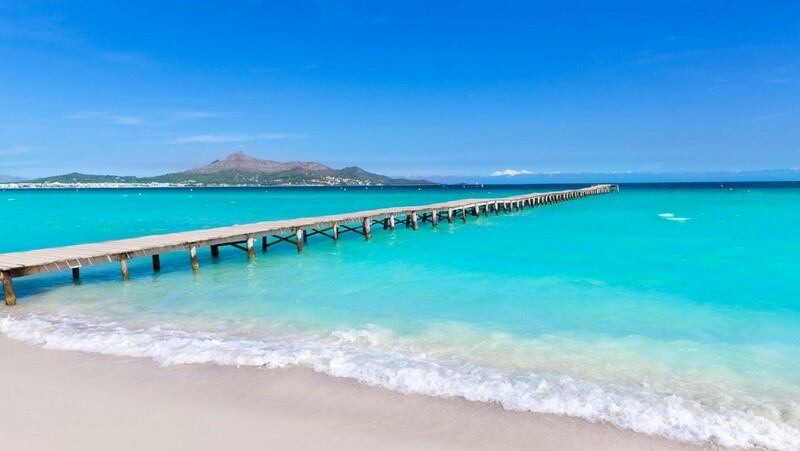 However, the smaller islands are worth a visit as well such as Fuerteventura or Lanzarote. These islands are owing a highly luxurious and relaxing sense. Can't decide on what kind of honeymoon to take? In that case choose one of the Balearic Islands because here you can find glamorous beaches, big-city buzz, wild landscapes and world heritage sites in these islands. The Mediterranean area offers scenic landscapes of almond and olive boskets, pine forests, diversity of marine organisms, many of which are endemic to the region. As well visitors can find white windmills and picture-perfect mountain villages scattered across the islands. The largest island is Mallorca which offers the perfect luxurious hotels for honeymooners. As well Ibiza and Menorca offers countless possibilities for recreation. The Andalusian coastline has long been a favourite honeymoon location for newlyweds. It has everything a pair looking for: sun, sea and sand with luxury resorts at Costa del Sol which make a pleasant stay for every couple. The area is full with stunning sites which are waiting for you to discover them. One of the most well-known and bullring city in the south coast of Spain is Malaga and it takes less than an hour to reach it. Visitors also can enjoy an unforgettable excursion to Sierra de Aracena and Doñana wetlands, Parque Natural de Cazorla, pueblos blancos and Alpujarras mountains. The North – East coast of Spain is one of the best location if you are looking for a combination of a very good summer climate, nature, excellent beaches and the finest Mediterranean food. Costa Brava is the perfect holiday destination since visitors can choose from a wide range of top quality accommodation as well as several different sport and nature activities. Honeymooners can enjoy the sunset from an air balloon or go for a cruise ship during the day. All of these facilities cooperate to make an unforgettable romantic honeymoon for the newlyweds. 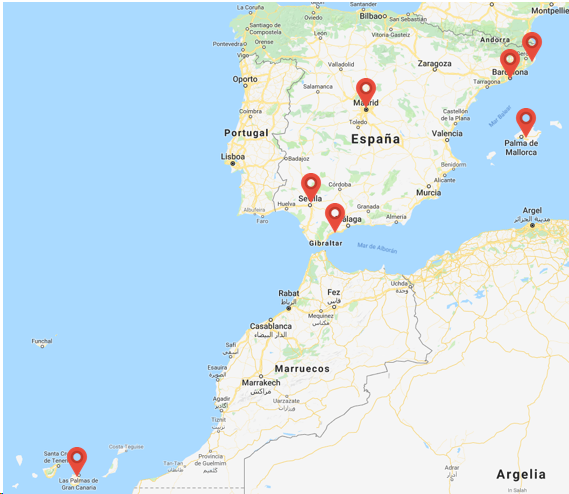 The following big cities of Spain are offering you a perfect combination of Spanish history, food, emblematic sights and international connections to the above mentioned sites. This city is the second largest city of Spain and one of the most visited city through the country. Next to its international connections it has very good transportation network to the whole country and Portugal. Moreover, the city owns several unmissable monuments such as the Sagrada Familia, Park Guell, Casa Mila and other gorgeous sites. Madrid is the capital of Spain and the most popular city in the whole country. It offers perfect international and intercity connections for everybody. Furthermore, it is one of the most beautiful capital in Europe. During your stay don’t miss to visit the Royal Palace, the world famous Prado Museum or visit Picasso’s masterpiece in the Reina Sofia Museum. Furthermore, don’t forget to check out the stunning view from the Circulo de Bellas Artes. The capital of the Andalusian region is 2h30 away from Madrid by high speed train. Seville offers you a high variety of Spanish history and culture. This stunning city is famous of its dance and music culture. Across Spain offers you endless opportunities to find the finest destinations for your honeymoon. In our assortment you can find packages from adventurous to relaxing as well the most luxurious ones. If you are looking for the experience of your lifetime please don’t hesitate to contact us about our Honeymoon packages which include accommodation, tours and the most special programs.